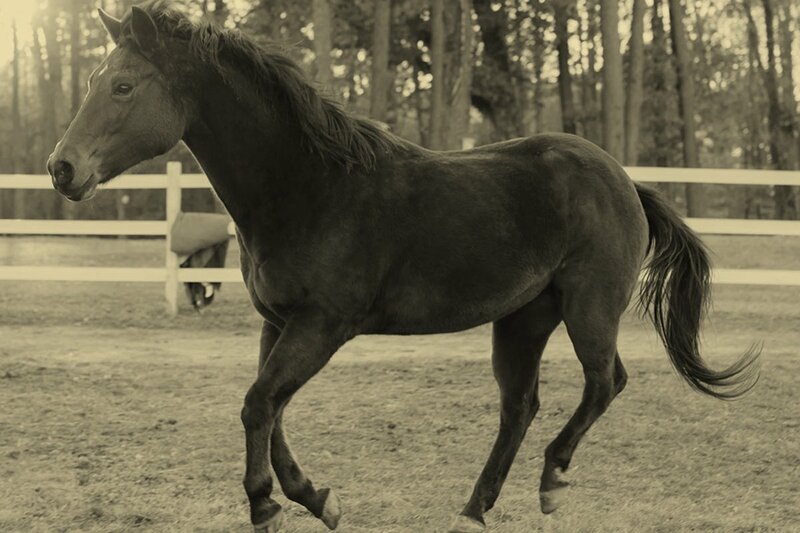 Sometimes horses come to Hope Reins with devastating stories of abuse or tragic neglect. At the Ranch they find a new home, new purpose and redemption. Other horses come with different backgrounds, perhaps less traumatic but no less powerful. Shiloh’s story is one of these. In the early days of the Ranch, we usually searched out horses by scrolling through websites in hopes of finding the perfect addition to the herd of “equine counselors” at the ranch. This time, however, a new pony found us! We received a phone call from a mother who had heard of our program through her daughter’s riding lesson barn. The little girl had finally outgrown her beloved grey jumper pony, much to the heartbreak of the whole family. Not just any new home would do for their precious friend, Shiloh. For as much as she had meant to them, they wanted her to make a difference for others also. Placing their pony at Hope Reins was a perfect choice. 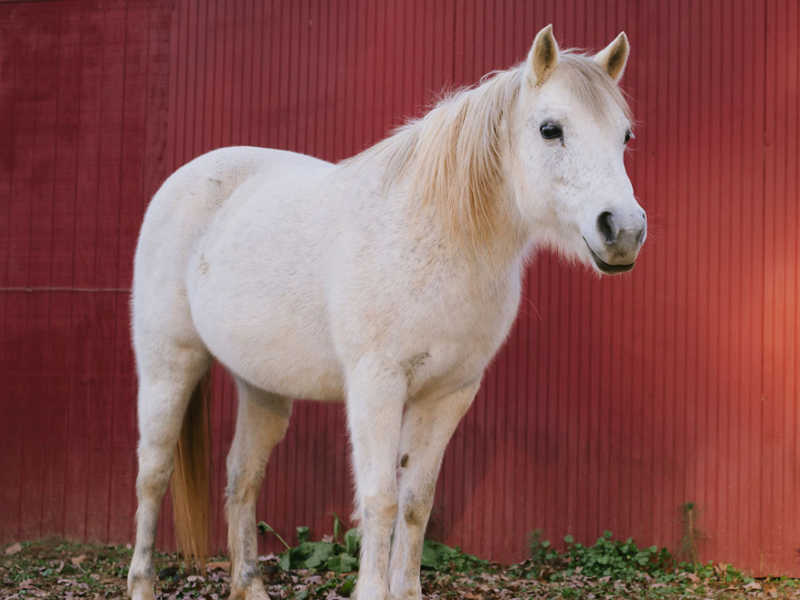 When Shiloh arrived at the Ranch, it became clear that while well cared for, she was overweight and suffering from an equine form of diabetes. We immediately set about adjusting her diet and designing living conditions that met her health needs. As we got to know this shy, quiet little mare, we saw that just as her physical well being required great care and attention, earning her trust took equal patience and diligence. Naturally obedient and submissive, Shiloh will do almost anything you ask even if she is afraid or in physical or emotional discomfort. While her outward response might be the “right thing to do,” that is not the same thing as genuine partnership offered freely from the heart. Many session children struggle trying to find self-worth in pleasing those around them, be it through academic performance, outward appearance or competitive activities. They seem to have an unspoken understanding with Shiloh, as though both know well the inner turmoil of needing to be valued for more than just their outward behavior. To really understand Shiloh, it’s not enough to take her at face value as the pretty white “princess pony” of every little girl’s dreams. Though she may look that way outwardly, there is so much more to her inwardly. To find that treasure takes kindness, patience and most of all, love. Every child, especially those whose difficulties cause them to hide away inside, is worth the effort it takes to be fully seen and fully loved just as they are . In seeing Shiloh this way, we also see a picture of how our perfect Heavenly Father loves us. He loves us even while he fully sees us! And that love is not dependent on how we act or how happy we make others. It is based on nothing less than His choice to love and rescue us – making us His most precious sons and daughters!